A month after the 2012 elections, at­torney Lance Collins, representing the Green Party of Hawaii, filed a lawsuit against the state Office of Elec­tions for failing to follow legally prescribed procedures in an important state legislative election. 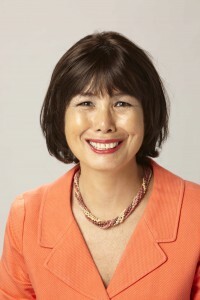 Several irregularities were alleged in the election in which Green member Keiko Bonk challenged long-time Speaker of the House Calvin Say. Specifically, some precincts ran out of paper ballots early, forcing people to wait in line many hours. Many voters, discouraged, gave up and left without voting. Other precincts received ballots printed only in Japanese or ballots on which the wrong candidates’ names appeared. The suit asks the Office of Elections be made to comply with the procedures spelled out in the law and points out that the law does not even specify appropriate remedy for such violations. Keiko Bonk is one of the co-founders of the Green Party of Hawaii and was the first Green elected to political office in the United States when she won a seat on the Hawaii County Council in 1992. Now located in Honolulu, Bonk decided to run in House District 20 at a time when dissidents within the Democratic Party were contemplating fielding a candidate to run against the incumbent Say. Having lost by a margin of 29 percent, Bonk may not have beaten Say if no ir­reg­ularities had occurred. In a state controlled by the Democrats, it is highly suspicious when such a big problem has occurred in the district of one of the most powerful Democrats, who was facing an unanticipated challenge. In the aftermath of the election Say resigned as House Speaker. Although the person he recommended as his successor was eventually chosen, a contentious split in the Democratic Party delayed the decision for two months.